Nokia just recently released its new, make-or-break Windows Phone 7 powered Lumia 800 smartphone, and it's already becoming apparent that many users are suffering battery-related problems. 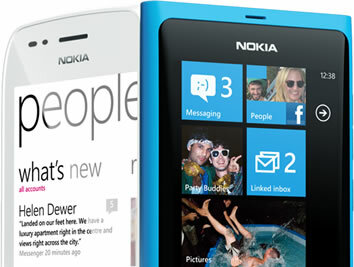 After receiving ever-increasing complaints on its official forum, the Finnish company has now released a statement saying, "We understand that some people have expressed concerns about battery life on the Nokia Lumia 800. Early investigations show that the majority of people are enjoying the full Nokia Lumia experience without any problems. A software update in early December will include improvements to power efficiency, while a second update in early January introduces further enhancements to battery life and battery charging." Nokia also said that anyone concerned should contact his or her local Nokia representatives at the earliest opportunity for further assistance. The phone, released just last month is marked as their flagship model, powered by the new Windows Phone Mango operating system. Affected users are understandably unhappy, with average standby times massively reduced from those quoted on the specifications for the phone. While they await the updates, Nokia has released support information on its forum to help users optimize battery life as much as possible -- though providing tips such as turning your phone off when you are not using it is certainly not going to impress handset owners. A forum poster by the name BrentNewbury summed up his experience in a response to Nokia's tips, "it would just be nice to see a more understanding response like 'Nokia are aware of the problem and are currently investigating the issue. We apologise for the inconvenience', rather than (and this is paraphrased) 'You're using the phone wrong, you need to turn off every feature that makes your £400+ device, a smart phone.'" In some respects, it mirrors the battery issues faced by Apple with its new iPhone 4S release, although according to several reports its hotly tipped iOS 5.0.1 patch did little to resolve the problem, sending them back to the drawing board to resolve it with an upcoming iOS 5.0.2 update.